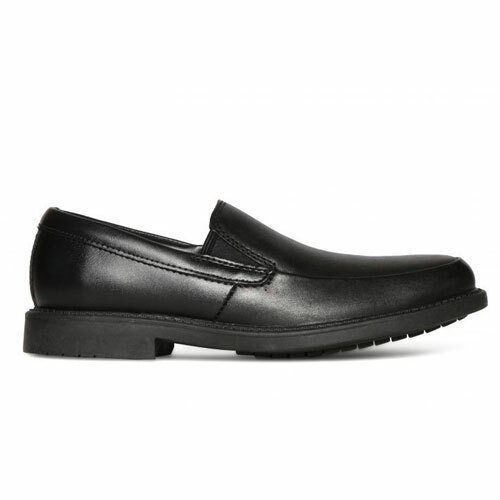 Clarks Deon – Smart and simple, the Clarks Deon Step boys school shoes take classic loafer styling and apply it to these mini-me black leather shoes. 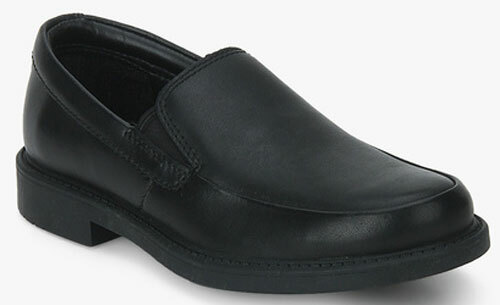 Crafted with dyed-through black leather, scuffs and scrapes won’t show easily. 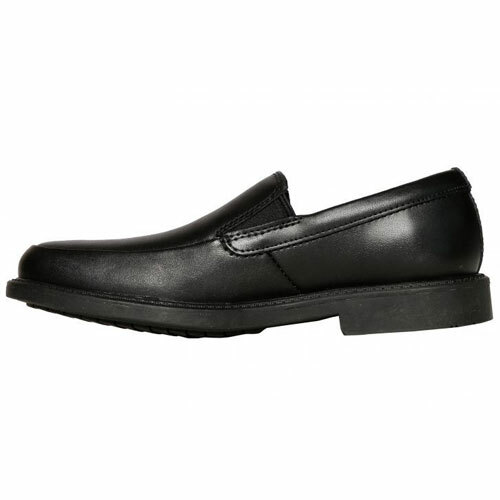 The slip-on upper is enhanced with elastic gussets which make them easy to pull on and off, helping to secure the fit. 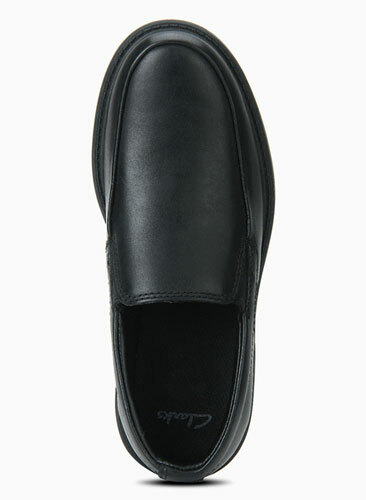 With Agion antimicrobial linings, the Clarks Deon Step boys loafers keep bacteria at bay – perfect for everyday wear.